I will spare my child the embarrassment of posting a picture of him sitting on the toilet for all of the internet to see. Sorry, future-girlfriend, you'll just have to wait a few years for that one. One of the songs in part of one of Lucas' "Baby Signing Time" DVDs does a Diaper Dance, and teaches the sign for Potty (which is actually toilet, but he doesn't need to know that). Ever since, he's been enthralled with the toilet, and wants to use it. Soooooo, at around 15 months, we purchased a potty seat, and started encouraging (not forcing) him to go. 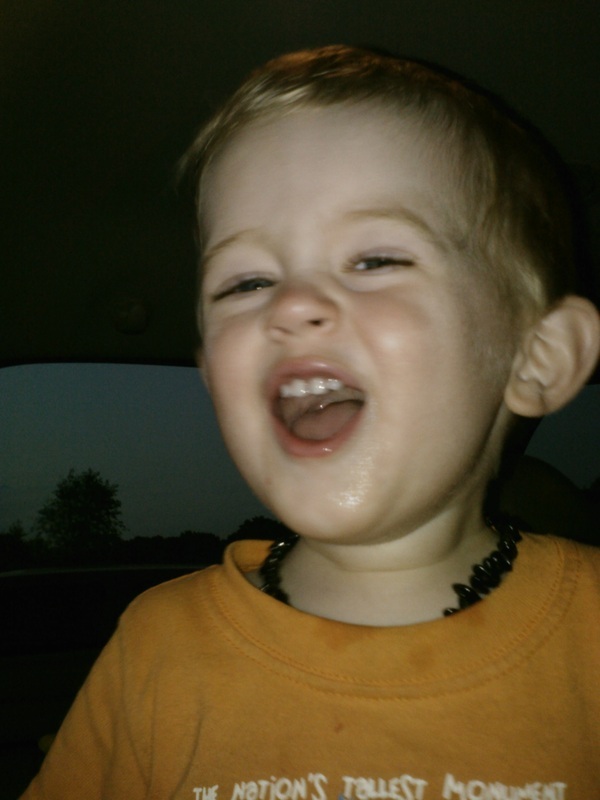 When he was about 16 months-old, he signed potty, and actually WENT on the toilet like a big boy. Since then, I've tried many of the methods that I learned through my work in child care. The now-great (but at the time, not-so-great) thing about training so many children, is that you learn every possible method to get that kid "going" on the potty! At the beginning, there will be a lot of "accidents" or basically, going in the diaper or underpants instead of on the toilet. And when I say "a lot", I mean, more often than not. Like, all the time. Creating rewards for trying is a great way to motivate your toddler to keep trying, especially after the novelty of the potty has worn off. Sometimes it's difficult to remember to take your child to the potty. You get busy, lose track of time, and before you know it, you're cleaning up an accident. I got Lucas a Potty Watch from Babies R Us for about $10, and it has been a worthwhile investment. You can set the timer for 30, 60 or 90 minutes, and it sings a song and lights up when time is up! The best part about this watch is that is AUTOMATICALLY starts counting down again, no need to reset the timer! Create Short-Term Rewards for "Trying"
I am not above bribery. At the end of the day, it's what works. Every time Lucas "tries" on the potty, he gets a mini M&M. I like the mini M&Ms because they stay sealed in a plastic container, and I'm not giving Lucas a ton if sugar that he doesn't need. I also practice colors with the candy, and don't give it up until he at least tries to guess which color M&M he's earned. 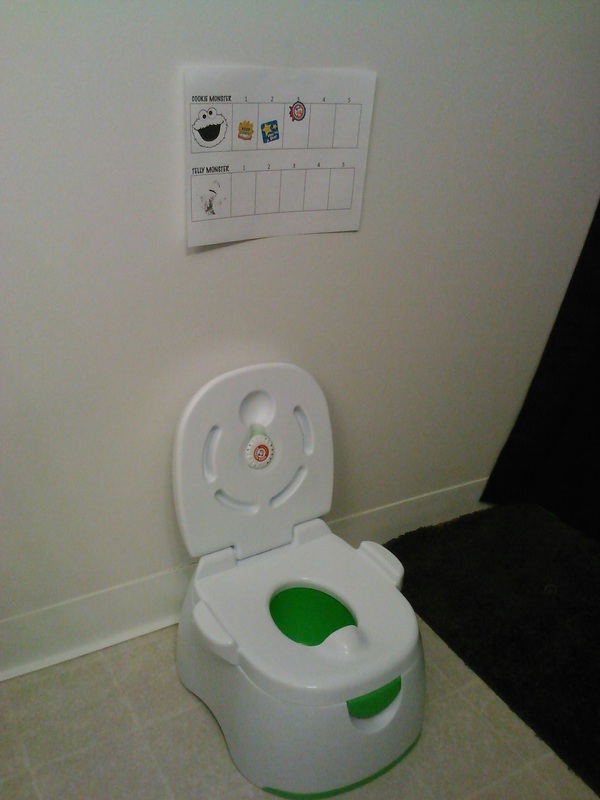 It's important to reward toddlers for doing their duty on the toilet, and to do so right away. Waiting to give them a prize until later takes away from the excitement of using the potty, which is one of the driving forces to continue trying. 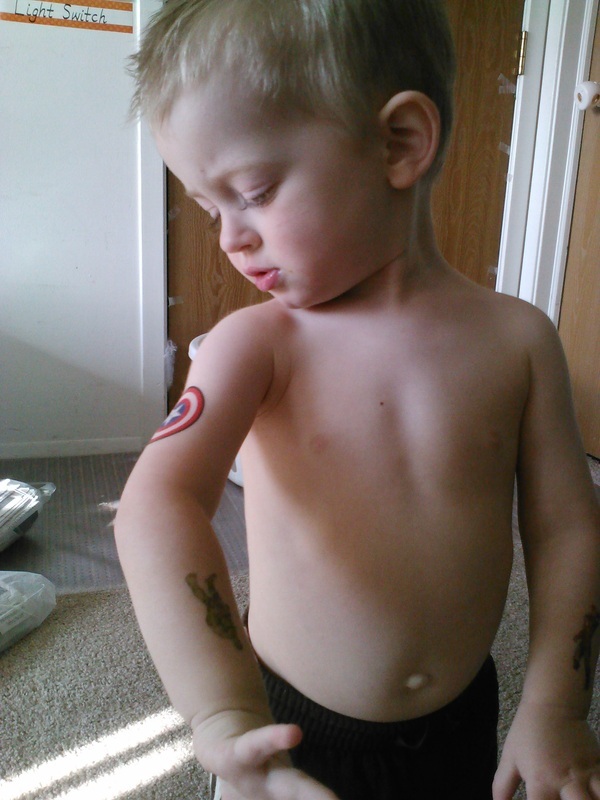 Try giving your child something small, like a sticker, a piece of candy, or a temporary tattoo. Just keep in mind that it has to be a special prize. Pick something that your kid likes, and only give them that reward for using the potty. I began using temporary tattoos for Lucas because it's a good way to constantly remind him of his accomplishments! I purchase a "Big Prize" for Lucas to earn once he's gone on the potty 5 times. Items such as Matchbox Cars or Action Figures cost a couple bucks or less, and do the trick. I keep the prize out on the bathroom counter, to remind him of his goal. You can also offer a reward such as watching a movie, going to the park, or picking out an item at the store. We have a chart to keep track of progress, which we keep right next to his potty chair and Lucas enjoys putting the stickers in the boxes. It's also a great opportunity to practice numbers and counting. I always put a picture of the item, so he can remember the prize. I love me some gDiapers, but they're really hard to potty-train with, since the velcro is on the back. So I've invested in some Cloth Training Pants from Gerber. They do a great job of soaking up accidents, and they're easy to care for, not to mention much more affordable than disposable training pants like Pull-Ups. I double-layer these with Lucas' "Big Boy Underpants", so the trainers are underneath. It allows him to wear his character underwear, and makes accidents easier on me! I always let Lucas choose which underpants he'd like to wear. It gives him an opportunity to get involved and feel like he's being independent and making choices. I can't say enough awesome things about Singing Time! Lucas loves this whole series. Rachel Coleman even has a FREE Potty Training App, Potty Time - which is available for Android on the Google Play Store, or iDevice on iTunes. You can also purchase a DVD kit that includes everything you need for potty training!